DANNY CAT National Road Safety Program. We specifically teach all the rules, signs and roadmarkings of the National Road Traffic Act. 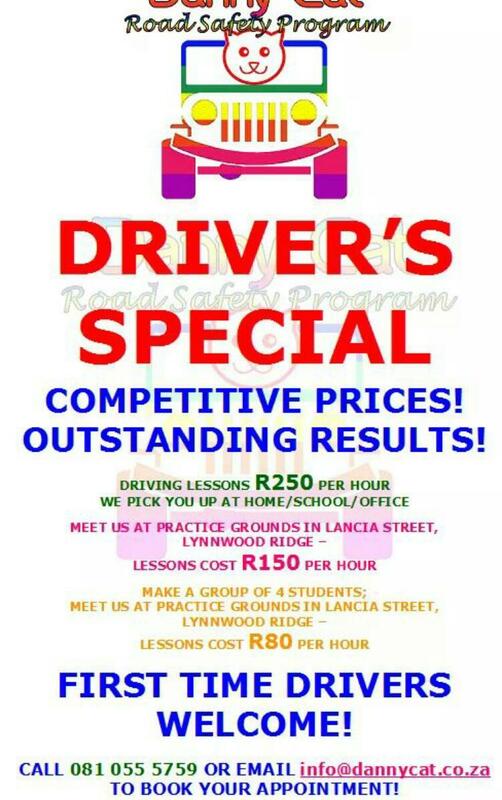 your learners licence with our training method! 100% strike rate! Our instructors are all on the same high standard set by the National Inspectorate of Drivers Licences! The system of vehicle control is fully implemented.